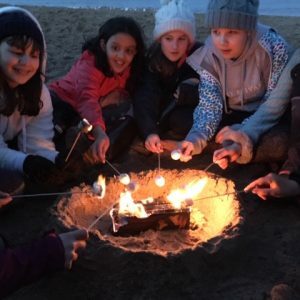 The weekend of 9 to 11 March saw another riding weekend take place at Orchard Farm near Skegness in Lincolnshire. 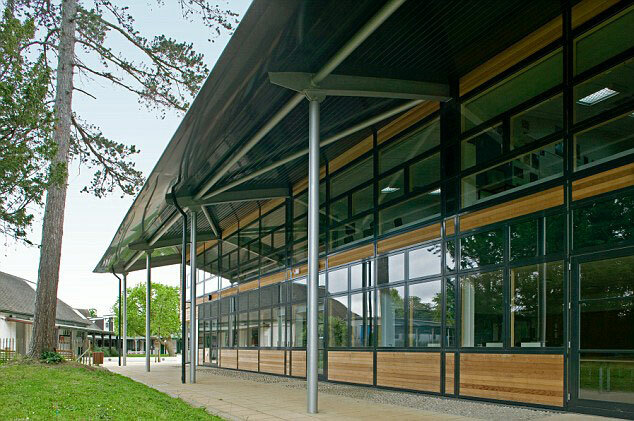 Twelve children from the Junior and Senior School set off just after 2pm in the minibus with members of staff Christine Hawkes, Gemma Horwood and Karen Hoyle. The journey passed surprisingly quickly with everyone chatting and listening to music, and after a short stop for a meal in Boston (Lincolnshire, not USA!) we arrived at our home for the weekend at Orchard Farm. We stay in a lovely holiday cottage which is always beautifully clean and warm as well as very comfortable, and the children soon made themselves at home. 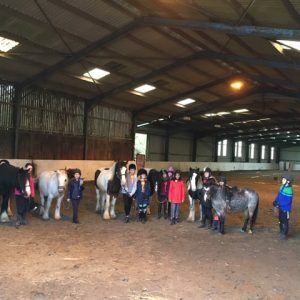 There was time before bed to put wellies and coats on to go and meet Jamie, our instructor and host, and of course the horses! 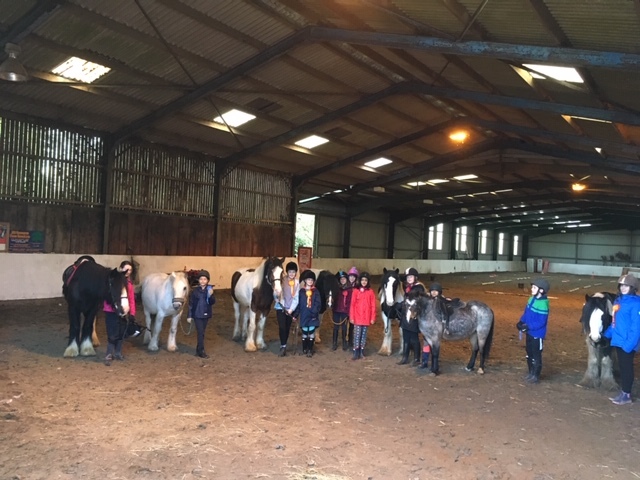 Everybody was very pleased to meet the horses and lots of children who had been before found old favourites, as well as meeting some horse that were new to the yard. Jethro is perhaps the biggest horse there and everybody was impressed by the size of his feet-they are genuinely as big as dinner plates! The next morning after a good breakfast, it was time to go riding. The children split into two groups, taking it in turns to either have a lesson or do yard duties. 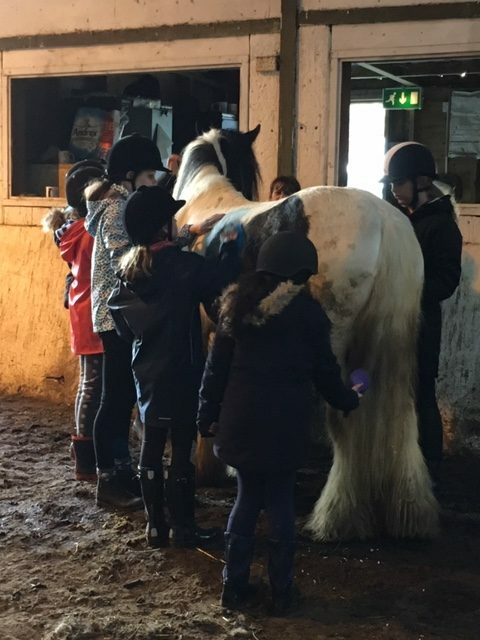 Everybody did a good job of grooming the horses and the mucking out became very competitive! 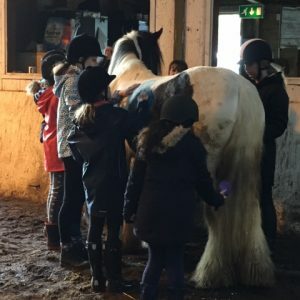 The novice riders made great progress and worked on learning to do a rising trot, whilst the more advanced riders thought about leg position and maintaining a balanced seat. After lunch, it was time for gymkhana games! 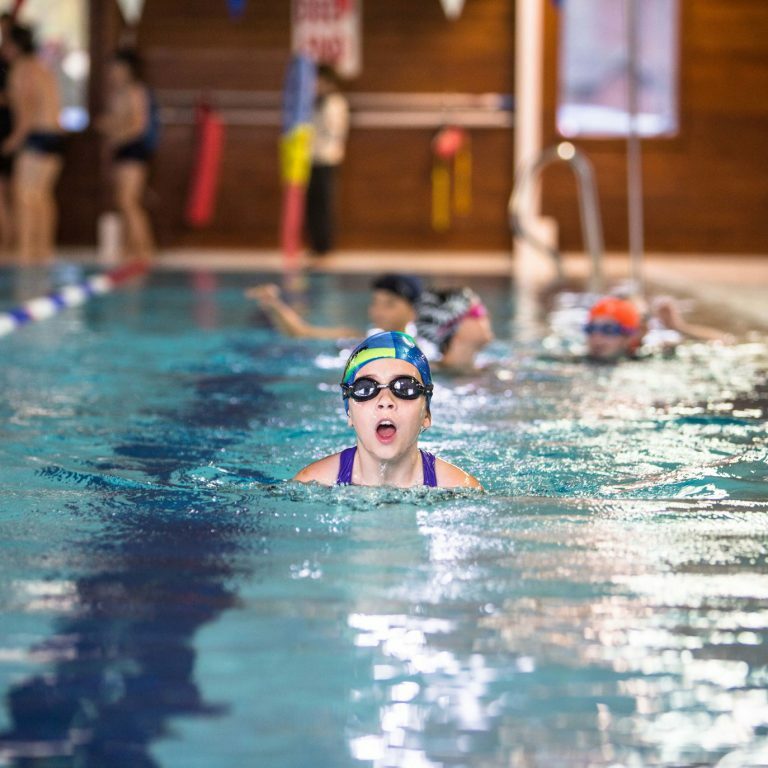 We all really enjoyed cheering each other on and taking part in lots of different races designed to test our speed, accuracy and aiming skills. All teams were awarded either a first, second or third rosette and left the yard happy with their prizes. 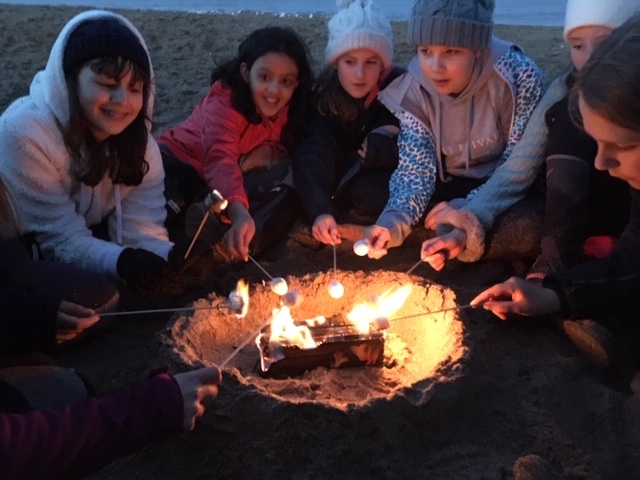 Before supper, there was time to go down to the beach and have a run around, as well as to light a little fire which was perfect for toasting marshmallows. On our return to the house, everyone helped to prepare and eat pizza and clear up afterwards. Twelve very tired children went quite willingly to bed! On Sunday morning, it was too windy to ride down to the beach as we would normally do, but Jamie made it up to us by giving everyone another riding lesson. Everyone did really well, but special mention goes to Rachel Annette, who jumped for the first time, and Shuli Hajioff who was able to master rising trot off the lead rein! The journey home was uneventful and everyone was happy to see their families and tell them all about what a great time they had had. This is a very special trip, as having both senior and junior pupils gives it a family atmosphere. All the children made positive comments about the trip and the fact that we are pleased that so many children come again and again. Riding gives children independence and responsibility, and the St Chris children rise to the challenges offered by this experience. 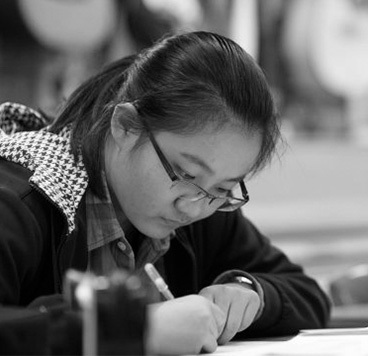 It is wonderful as a teacher to see their confidence and ability grow over the weekend and to get to know students that you might not otherwise ever meet.